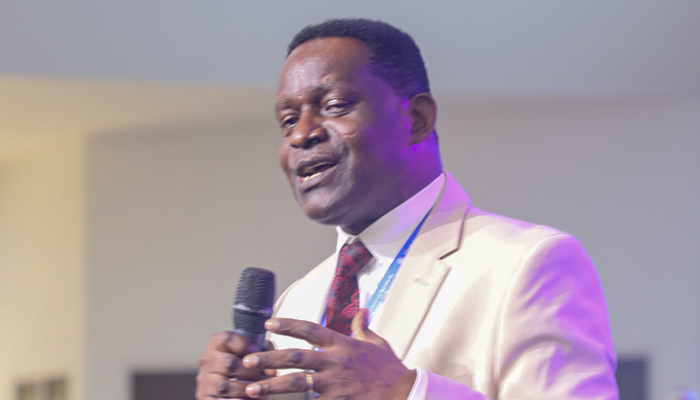 A Member of the Executive Council of The Church of Pentecost and Area Head for Hohoe, Apostle Yaw Adjei-Kwarteng, has challenged the church to look beyond the accidentals and incidentals of the ministry of the early church leaders and find new ways to express the faith and become relevant to the next generation. According to him, the context of operations and exigencies of the times differ and, therefore, there is the need for the church to adhere to the fundamental tenets of the gospel which they proclaimed. “Let us maintain the principles that guided the early church and not lose face of the fact that the applications will differ since we live in different times and periods,” he stated. The Hohoe Area Head said this when he addressed participants of the 2019 Global Ministers’ Conference of The Church of Pentecost at the Pentecost Convention Centre, Gomoa Fetteh, on Tuesday, January 22, 2019. Speaking on the topic, “The Marks of the Early Church – Lessons for The Church of Pentecost”, he indicated that although the early church, spanning between CE30 and 590 had its own challenges, they radiated Christ and spread rapidly with marks of high standards being kept. Reading from Acts chapter 2, Apostle Adjei-Kwarteng noted that the essential impressions created by the early church are worth emulating: learning and teachable church, a praying church, a church with great reverence for God and backed with signs and wonders among others. Emphasizing the power of prayer, the Hohoe Area Head said a praying church can overcome all circumstance and challenges to possess the nations. “The early church was a Church of great prayer, and always steadfast in prayers. It is prayer that gives the word a cutting edge. If you don’t pray, your word will not stick and it will be blunt. Prayer has the over aching power and can overrule all circumstances”, he said and cautioned against paying lip service to prayers. Apostle Adjei-Kwarteng further encouraged ministers to apply themselves to reading and studying of the word of God. “The early church was a learning church. They submitted to the teaching authority of the Apostles”, he said and encouraged the Church to learn from the early church’s approach to studying the word and propagating the gospel. He also indicated that great signs and wonders – Divine Miracles marked the ministry of the early church. “God through the Apostles of the early church performed many miraculous signs and wonders to demonstrate how faith in Christ could lead to victories over death, the devil and also to demonstrate the power of God to his people” he stated adding that Peter’s testimony about Jesus “as a man attested to you by God with mighty works and wonders, and signs which God did through him in your midst” should be our guide and hope in our quest to get signs and wonders manifest in the lives of our congregation.